Zika Virus (ZIKV) is a causative agent for poor pregnancy outcome and fetal developmental abnormalities, including microcephaly and eye defects. As a result, ZIKV is now a confirmed teratogen. Understanding host-pathogen interactions, specifically cellular perturbations caused by ZIKV, can provide novel therapeutic targets. 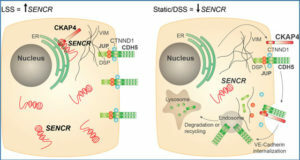 In order to complete viral replication, viral pathogens control the host cellular machineries and regulate various factors, including long non-coding RNA (lncRNA) genes, at transcriptional levels. The role of lncRNA genes in the pathogenesis of ZIKV-mediated microcephaly and eye defects is currently unknown. 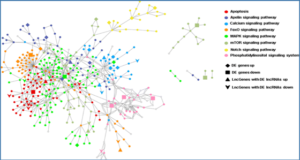 To gain additional insights, researchers at the Indian Institute of Science, Bangalore focused on profiling the differentially expressed lncRNA genes during ZIKV infection in mammalian cells. For this study, they employed a contemporary clinical Zika viral isolate, PRVABC59, of Asian genotype. 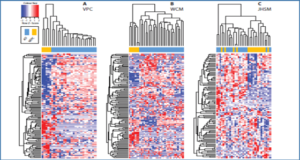 They utilized an unbiased RNA sequencing approach to profile the lncRNA transcriptome in ZIKV infected Vero cells. The researchers identified a total of 121 lncRNA genes that are differentially regulated at 48 hours post-infection. 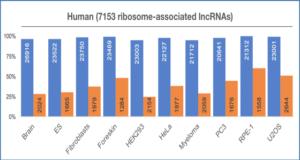 The majority of these genes are independently validated by reverse-transcription qPCR. A notable observation was that the lncRNAs, MALAT1 (Metastasis Associated Lung Adenocarcinoma Transcript 1) and NEAT1 (Nuclear Paraspeckle Assembly Transcript 1), are down-regulated upon Zika viral infection. MALAT1 and NEAT1 are known as nuclear localized RNAs that regulate gene expression and cell proliferation. 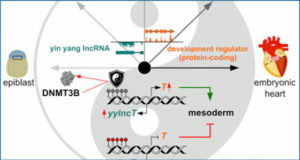 Protein-lncRNA interaction maps revealed that MALAT1 and NEAT1 share common interacting partners and form a larger network comprising of 71 cellular factors. ZIKV-mediated dysregulation of these two regulatory lncRNAs can alter the expression of respective target genes and associated biological functions, an important one being cell division. 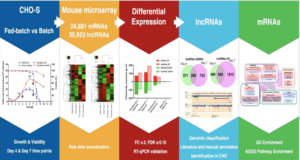 This investigation is the first to provide insight into the biological connection of lncRNAs and ZIKV which can be further explored for developing antiviral therapy and understanding fetal developmental processes.